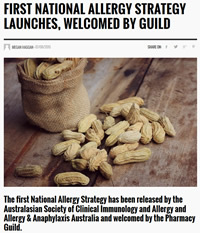 The first National Allergy Strategy has been released by the Australasian Society of Clinical Immunology and Allergy and Allergy & Anaphylaxis Australia and welcomed by the Pharmacy Guild. 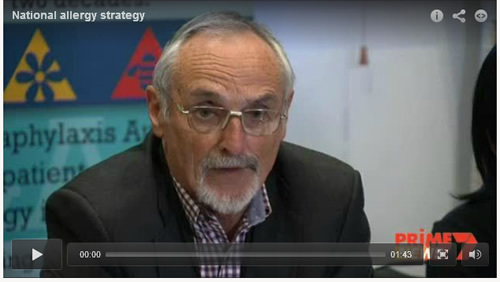 Developed over the last 12 months involving over 50 stakeholder groups, including consumers, the strategy aims to address public health issues relating to the rapid and continuing rise of allergy in Australia and improve the health and quality of life of people with allergic diseases, their carers, and the community. Medical experts are calling for action to help the four million Australians suffering with allergies. For the first time, a National Allergy Strategy has been developed to improve the quality of life of patients, carers and consumers. 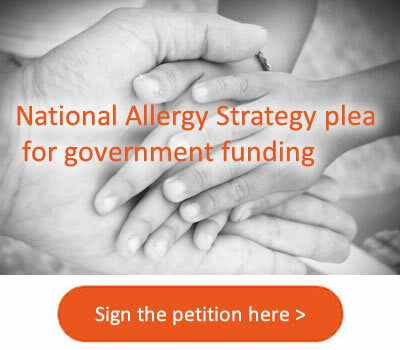 Following the National Allergy Strategy (NAS) launch on 7 August 2015, the Parliamentary Allergy Alliance (PAA) was launched on 10 August 2015 at Parliament House, Canberra. 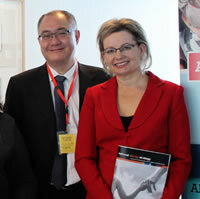 Guests at the PAA launch included the Minister for Health (Hon Sussan Ley MP), the shadow Minister for Health (Hon Catherine King MP), the leader of the Australian Greens (Senator Richard Di Natale) and the Hon Anna Burke MP. Presentations featured an opening address by Senator Di Natale, an overview of the NAS by Maria Said, particularly moving stories about their experiences from Dr Shiu Lam and Isobelle Lam and a closing address by Anna Burke. 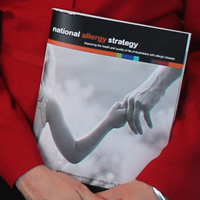 Australian children and adults with allergy are often being poorly managed, with resources being wasted and their health and wellbeing at risk - but the launch of the new National Allergy Strategy has solutions. “More than 4 million Australians are currently affected by allergic diseases and that number is growing fast,” claims leading paediatric allergy specialist Clinical Associate Professor Richard Loh.